Equipment failure in New Mexico resulted in a record low next-day natural gas price at the Waha hub in West Texas. 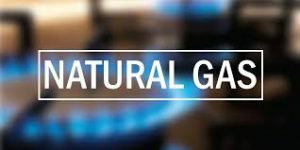 The failure stranded natural gas in the Permian basin and spot prices at the hub collapsed to an average of just 12 cents per million British thermal units for Wednesday. Prices fell belong the contract’s previous record low of 21 cents in February. They also compare to the average of $1.72/mmBtu so far this year. Reuters reported the equipment failure was on El Paso Natural Gas Pipeline Co LLC’s Lordsburg and Florida compressor stations. That failure, which caused El Paso to declare a force majeure, cut the operational capacity through the stations by about 0.2 billion cubic feet per day to around 0.4 bcfd starting on Tuesday.